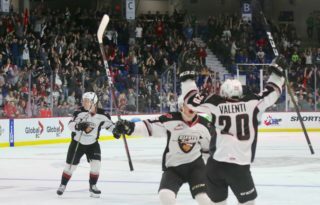 The Vancouver Giants first-round series with the Seattle Thunderbirds has now shifted South and after splitting their first two games at home against Seattle, the Vancouver Giants will now attempt to snag home ice advantage back in their favour when they take the ice on the road for the first time in the post season. Tonight’s puck drop goes at 7:05 PM from the accesso ShoWare Center in Kent, WA. Seattle Thunderbirds captain Nolan Volcan led all Seattle skaters with a goal and two assists on Saturday night in Game 2. Before the game Matt O’Dette stated that his veterans needed to lead the way, and Volcan did absolutely that. In 51 career playoff games the T-Birds captain has posted 10 goals and 14 assists for 24 points. 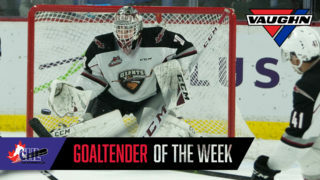 Seattle netminder Roddy Ross bounced back in a big way Saturday with a 39 save performance en route to his first career WHL playoff victory. 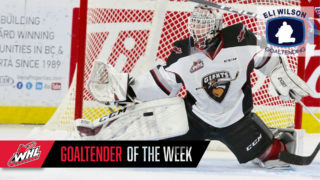 The 2000-born product of Meadow Lake, SK now has a 1-1 record with a 4.02 goals-against-average and a .901 save percentage so far in the series. Now tonight with the home crowd behind him, Roddy Ross will look to put forth a similar type of outing. 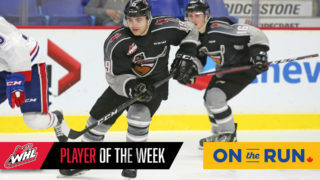 1999-born forward Andrej Kukuca has scored in each of the firs two games of this series and so far is the only Thunderbird to have more than one goal in the series. During the regular season Kukuca scored 25 goals along with 32 assists for 57 points. 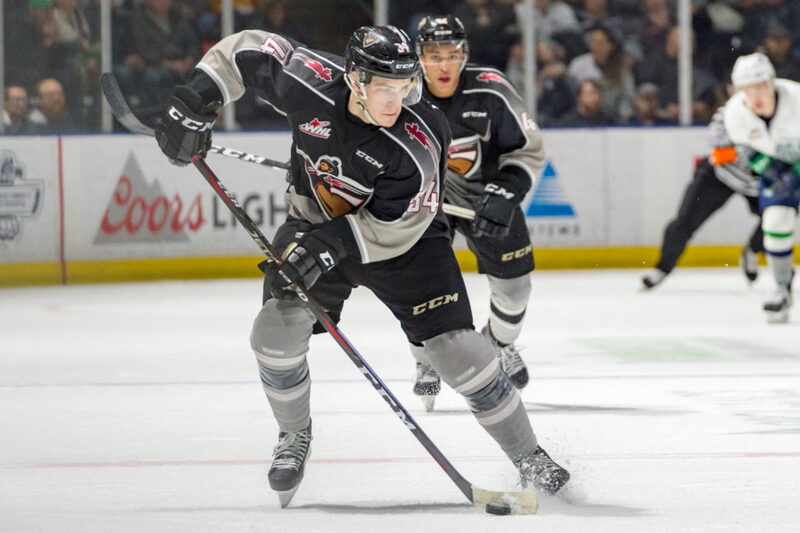 In three regular season meetings with the Giants, Kukuca had two assists. The lone goal for the Giants in Game 2 came courtesy of Jadon Joseph who is now tied for the team lead in playoff scoring with three points. Joseph has scored in both games so far in the series and dating back to the regular season has now scored in three straight games altogether. Davis Koch has three assists in this series so far, all of which have come via the power play. Koch has factored in on all three Giants power play goals in the series so far, and tonight he’ll be looking to accomplish more of the same as the series shifts to the road. After setting a new season high in points with 78, the Giants will continue to look to Koch to lead the charge offensively. The Giants were 2-0 in the regular season in Seattle. The Giants were 22-9-2-1 on the road during the regular season. Lukas Svejkovsky had three goals against Seattle during the regular season and has already scored once against them in this series.